UMKC School of Medicine students are represented on major councils responsible for various aspects of the educational program. These are elected positions with several student seats on each Council. The election process begins by self-nomination for either the Council on Curriculum, Evaluation or Selection. This allows students who have identified an interest in a particular aspect of the medical school to become involved in that area. All terms last one year and begin June 1. Coordinating Committee approves all actions by the other Councils. The student rep for the Coordinating Committee is elected by and among the other Council Reps.
Council on Selections is responsible for identifying and selecting students for admission to the School of Medicine. It meets four times a year, and members of this council are asked to be available for applicant interviews December through March. 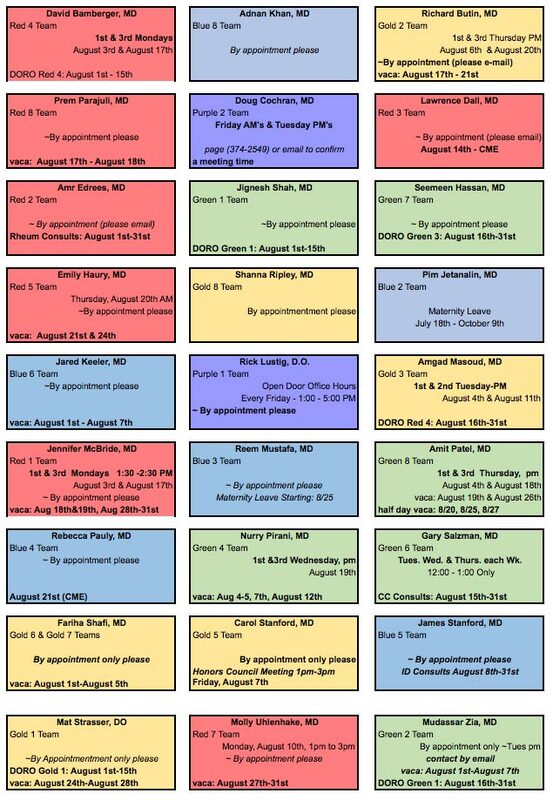 It is necessary for Selection Council members to be on a rotation that fits with this interviewing schedule. Students serving on this council must currently be in good academic standing. Council on Evaluation is responsible for evaluating performance at all levels of the medical school, both student and faculty (although students do not sit on the subcommittee for faculty promotion). It meets on the second Wednesday of the month at 4:00 p.m.. Students serving on this Council must have good academic standing for their entire medical school career. Council on Curriculum is responsible for monitoring all curricular programs and initiating curricular changes at the School of Medicine. It meets on the 2nd Monday of the month at 1:00 p.m. in the Humanities Conference Room. Students serving on this Council must currently be in good academic standing. Council of Docents is responsible for all activities and curriculum related to the Docent Units including the ambulatory care clinics and Docent Rotation. Meetings are once a month, currently at 7:30 a.m. on the 4th Wednesday of the month. Students must be in good academic standing. The Organization of Student Representatives of the Association of American Medical Colleges is one of the major governing councils of the AAMC. Its purpose is to address all issues pertinent to medical students nationwide.